Choosing the ideal rate of interest for a home loan does not necessarily have to be a choice between floating or fixed interest rate. Hybrid loans happen to be the best solution for those who would want to enjoy the benefits of floating rate as well as fixed rate of interest. As the name implies, a hybrid home loan comes with a combination of fixed and floating rates of interest. 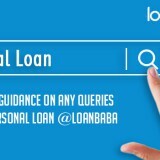 When you opt for this loan, the lending institution offers a fixed interest rate for the initial years and subsequently the existing floating rates apply. Let us explain with an example. 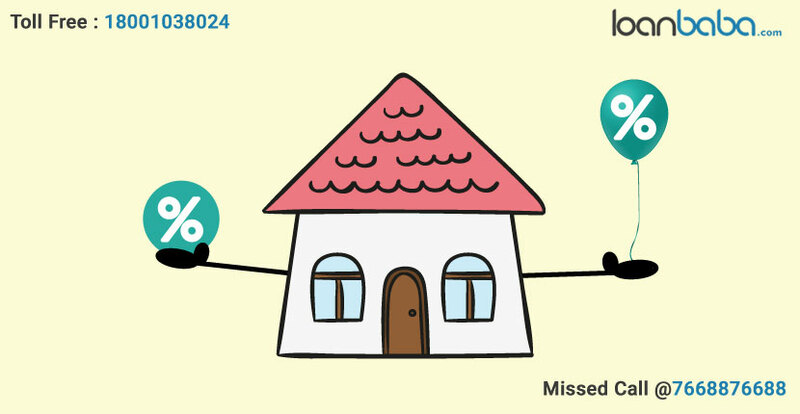 In case of home loan tenure of 10 years, you might be paying a fixed rate of interest for the initial 2 years and then the floating rates for the 8 remaining years. The floating rate of interest is calculated on the present outstanding principal loan amount and it undergoes changes at quarterly intervals. 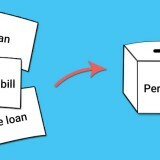 In case of a hybrid loan, two loan agreements are applicable. One is on the fixed rate and the other on the floating rate of interest. Should You Be Opting for a Hybrid Loan? This type of loan is the perfect solution for borrowers who are unable to afford adverse changes in their monthly expenditure during the initial years of a home loan. Especially, it helps young professionals who have just begun their career. A fixed EMI assists in a better planning of finances, thus allowing the borrower to save and make moderate investments in various other areas. Does a Hybrid Home Loan have Risks? A hybrid home loan is similar to all other standard home loans. No apparent risk is attached to it. However, banks often try to push such loans in order to compete with various teaser loans. This makes it necessary to analyze the margins and caps while a home loan is being considered. If both are low (in comparison to market standards), you should consider opting for the loan. How does a Hybrid Loan differ from a Teaser Loan? Every teaser loan is a hybrid loan, but every hybrid loan is not a teaser loan. A first-time borrower might find it difficult to differentiate between these two, and can be misled in many cases. In case of a teaser loan, the initial 1 or 2 years have a fixed interest rate, which is lower than the existing market rate. Subsequently, a high floating rate of interest is applied for the rest of the tenure. Many banks keep offering teaser loans to tempt customers. A borrower must study every detail of a loan before applying for it. Can a Hybrid Home Loan be prepaid? 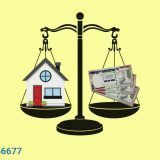 The National Housing Board and the RBI have removed prepayment penalty on every home loan with floating rate of interest, since 2012. This suggests that if a borrower decides to prepay their hybrid home loan during the tenure with fixed rate of interest, a prepayment penalty is levied by the lending bank. Are hybrid Loans Advantageous from a Financial Angle? A hybrid loan combines the advantages of floating rate and fixed rate loans. This helps in minimizing the effects of adverse fluctuations in lending rates. It also allows the borrower to enjoy the advantages that originate from the beneficial changes in both these types of rates. Next story Why to File Income Tax Returns Well-before July 31, 2017?